Complete Mouth Care for a Better Dental Check Up. 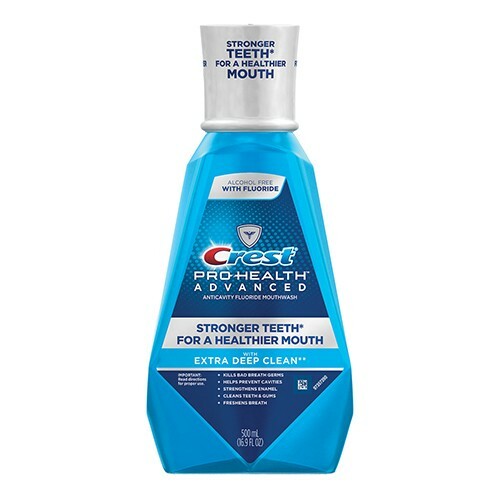 * Crest Pro-Health Advanced with Extra Deep Clean mouthwash helps you have stronger teeth for a healthier mouth. It kills bad breath germs, helps prevent cavities, strengthens enamel, cleans teeth and gums, and freshens breath for a healthier mouth.